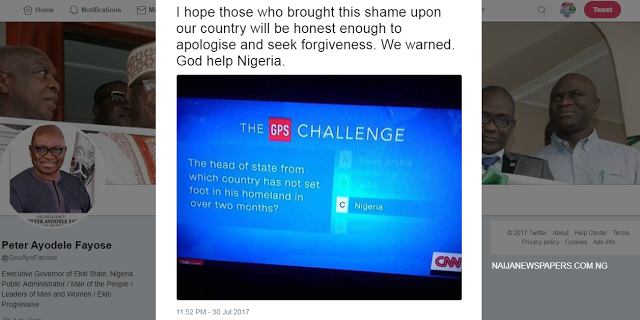 Ekiti state governor Ayodele Fayose on his tweet slammed CNN over using Nigeria President for there GPS Challenge. "I hope those who brought this shame upon our country will be honest enough to apologize and seek forgiveness. We warned.God help Nigeria."